Imagine the scene. The stands are packed. The crowd is glued to every move made on the court. Elite athletes focused. A ball hurtles toward the dirt, your hero dives for it, deflecting the heavy rubber ball with his shoulder. His opponent springs into the air, and the ball comes right back. Again he dives. The ball slams into his hip. He grunts at the heavy thud of the ball against his skin. He twists and wriggles in the air, defying gravity. You watch. mezmorized as the ball sails over the opponent’s head, out of reach. The crowd erupts. Score! Sound like the nail-biting finish of a world-class soccer game? How about the winning play of an ancient Maya sport called pitz, in which the stakes were life and death. As more and more of the Maya hieroglyphic texts are read, new insights into their civilization come to light daily. Few aspects of Maya culture reflect their beliefs as concretely as the ball game. Such games were central to cultural life in ancient Mexico. Archeological evidence throughout southeastern Mexico, Guatemala, Belize, and Honduras suggests that people there played a game with a rubber ball beginning about 300 BC. Spanish Conquistador Hernan Cortés witnessed the descendants of the ancient Maya playing a game with a rubber ball in 1528. He and his men were so fascinated by it that they sent two full teams back to Europe to play for King Charles V.
Much of what we know about the ball game comes to us from chroniclers who witnessed the game being played in Maya cities at the time Europeans first encountered the ancient people of Mexico. Although the rules of play may have varied, Mayanists agree that the ball game was an important part of both the spiritual and communal life of Maya society. The court had three parts. The main alley was marked by stones or bounded on both sides by walls or tall benches. At the ends were wider sections that served as end zones. Players passed the ball back and forth between the two teams using only their hips, arms, chests, and buttocks. If the court had walls, they could use the walls to make it harder for the other team to return the ball. A team scored a point in one of three ways: If your opponent used his hands, feet or head; If the ball went into your opponent’s end zone; And, the hardest way of all, if your team shot the ball through one of several rings, high up on the walls of the central alley. When that happened, the game ended and the team that made the shot won. The Maya made the ball by boiling the sap, or quiq, of certain local trees in water mixed with herbs. They rolled the mixture into a sphere. When it hardened, depending on its size, the rubber ball could weigh up to eight pounds. Players wore special equipment to protect themselves from the ball as it hurtled around the court. Leather straps on the backs of their hands and covering their buttocks protected the skin. They wore chest protectors, stone belts, and collars to protect their stomachs and throats. Some players even wore helmets and goggle-like eye protectors. Playing the game in the most important matches required great skill, and the most successful ballplayers were local heroes. They were respected members of the society. Their names were written on ceramic vases and stone inscriptions so they would be honored for all time. The ball game served many different purposes. Boys and young men often played in their spare time for fun. Teams from different villages and cities competed with each other in regional rivalries much like sports teams do today. Hundreds of people watched these matches and the spectators bet on the outcome of the games. The losers and their supporters often went home without their jewelry, clothes, and shoes. Sometimes the losers were forced into slavery. Most games played in the cities of Mesoamerica were played for sport and the enjoyment of the spectators, but the purpose of the most important games had religious meaning. Those games commemorated the game played by Xbalanque and Hunaphu, twin hero gods of Maya mythology, against the cheating lords of the Maya underworld, the Xibalbans. In that game, Xbalanque and Hunahpu beat the unsportsmanlike Xibalbans, using their skill as ball players, their wits, and the help of animals and insects of every kind. To honor the victorious twin gods, ritual games were played in which the outcome was predetermined. The losers, usually kings or nobles captured in wars, were sacrificed in a ceremony following the game. To the Maya, the gods’ most precious gift was human life. It was a sign of supreme respect to offer a human being to the gods in sacrifice. Rarely, however, did they sacrifice people from their own communities. Usually, prisoners captured in wars with neighboring kingdoms were offered to the gods as evidence of the king’s power and his right to rule. In fact, acquiring captives for ritual sacrifice was one of the main reasons Maya kingdoms went to war. Victories in battle were almost always followed by a ceremonial ball game in which the prisoners played the final game of their lives. In modern Mesoamerica, communities play a game similar to the one played by their ancient ancestors, with one important difference. After a modern game,everyone goes home with his or her head still on. These are some of the words used in stories and other works about the Maya that you might come across. baktun — A period in the Maya long Count of 144, 000 days or approximately 394.5 years. cacao — Ka Ka Wa – the plant from which chocolate is made. The Maya didn’t eat it with sugar so it tasted very bitter. censor –A delicately carved ceremonial apparatus for burning incense. codex –modern name given to the few remaining Maya bark-paper books. ex — (loincloth) Cloth worn by Maya priests and kings. Usually of cotton. limestone — a kind of porous rock that is found in many areas of Mexico. loin cloth — see ex – Cloth worn by Maya priests and kings. Usually of cotton. mano — (Spanish for hand); also the lon cylindrical stone used by Maya women and girls to grind prepared corn kernels into dough. myth — stories in which cultural religious or foundational beliefs are recounted. scribe — a person trained to read and write with glyphs; see hieroglyphics. stucco — A type of whitewash or plaster used throughout the Maya region to coat the walls of buildings, both interior and exterior. Aj Kun Aya crouches in the near silence of dawn and stares towards the east. The bitter smell of smoke and burnt wood lingers on a heavy mist left behind by the last night’s rain. The forest is freshly burned. At his feet moist ash mixes with black dirt. He grasps the heavy stick with the sharp point that is exactly like his father’s. His father and his father’s father and for many generations before them, all the men have used dibble sticks to poke holes in the ground to plant seeds. Planting today would be so easy if the gods were to appoint today as the proper day to plant. But he and every other man and boy in the village waits. When the morning star, the God Hunahpu himself returns to the morning sky, it will be the sign they are looking for. The sign that it is time to sow the spring crop. The leaf cutter ants are moving their eggs to higher ground, and the falcons laugh all day in the trees. They know the rains are coming. The rains that will nourish the soil and help give the people the food they need to live. Already the sky in the east grows blue. The screaming monkeys have awoken the birds. Hunahpu, the god of corn has not returned. The boy rises, kicks a clump of the moist dirt with his toe. His father’s voice pierces the stillness. The pair moves silently toward the ring of unburned forest around the perimeter of the family’s milpa. The rains have not started in earnest. There is still time to plant. The gods will not let the people starve. Kun Aya, follows his father silently through the trees. The words of the ancient story the priest made the children memorize roll through Kun Aya’s mind. Maize is essential to the life of the gods and the people they created. Hunahpu will return. Kun Aya smiles as, slowly, syllable by syllable, the story the priest tells f the creation of human beings unfolds in his memory. In his minds eye Kun Aya imagines the skinny high priest, draped only in his loin cloth, sitting on the raised platform in the center room of the temple residence. The priest’s wrinkled face turned toward him. He seemed to speak directly to Kun Aya. “When the great gods Itzamná, the Bearer and Begetter, and the Plumed Serpent, Kul Kul Kan finished creating the beautiful sky-earth and lake-sea, and had filled the forests and the valleys with animals and birds, and the lakes and the oceans with fish, they stepped back and listened. They waited for the creatures, the plants, the mountains, and the rivers to sing their praises, and give them sustenance. But they heard only silence from the mountains touching the sky, the endless babble of the rivers, the nonsensical chatter of the birds and the howling of the animals. Something bothered the gods, as they looked upon their wondrous creatures and creations. Why did they fail to sing the praises of the gods? Why did they not thank the gods for all that they had done? They looked at each other and something else occurred to them. Who would harvest the maize? Who would grind the corn to make their tortillas? Who would watch them and worship them as they moved through the sky? Was not this creation they had made grateful? So the gods gathered the sturdy trunks of trees they had so recently created and carved people out of wood. The gods gave their wooden people thick arms and sturdy legs. They gave them strong backs so they could plant. The gave them eyes to watch the stars, the sun, and the moon. And they gave them mouths and voices so they would sing of their creators’ goodness and the beauty of creation. And the people of wood walked about. They planted maize. They talked, and they sang, and they peopled the earth with their children. Their sons and daughters multiplied and grew numerous all over the land. But soon the gods noticed something that troubled them. Their creations had much to say, but empty heads. They had full bellies, but empty hearts. They forgot their duty to the gods. They sang songs but not of thanksgiving and praise to the gods. They counted days and nights, but not the cycles of the moon and the stars. And worst of all, they failed to feed the gods. The hungry and disappointed gods knew that their first attempt to create people had failed. Angry, the gods sent a great flood to destroy the people of wood. They set all the creatures of the earth against them. The dogs clawed their skin, and the birds pecked at their eyes. Even their grinding stones, the metates and manos, crushed and splintered their faces. When the water receded, no people of wood remained. Days passed. The time of harvesting the gods’ maize approached. The gods knew they must hurry. They needed someone to worship them, to sing songs of praise to their names. And they grew hungry. The gods tried again. They gathered up the rich dark clay that lay in the beds of the rivers and modeled people of clay. They set their creation down on the river bank, but the clay would not hold together. The creatures’ heads sagged. Their flesh crumbled and their limbs fell off. But worst of all, the people made of clay had no voices to praise the gods. Their faces could not move for them to speak and sing. Their tongues were silent. Their eyes could not see the gifts the gods provided for them. So the people of clay melted back into the river beds. Once again the gods gathered together. They wrung their hands, and rubbed their chins as the dawn of the appointed day for harvesting approached, and still they had no one to gather the maize. Their bellies grumbled. Once again, the gods put their heads together. Once again they spoke in quiet voices. What kind of people did they need? What kind of people would stand strong, sing songs of praise to the gods for creation. But more importantly, who would feed them? Even as the gods whispered to one another, the coyote, the parrot, the fox, and the crow watched in the distant mountains at Paxal as the maize grew taller and plumper, nearing ripeness. The faithful animals gathered a handful of ripe kernels of corn and brought them to the gods. Only then did the gods know what they had to do. They ground the white kernels and shaped the dough into bones. With yellow corn, they made flesh to cover the bones. They scooped clear cold water into their people’s mouths to make blood. They formed the people out of maize. The people stood up, strong and tall. They looked around. They marveled at all that the gods had made. They watched the sun move through the sky. They counted the days and the cycles of the moon and the stars. With melodies of praise they thanked the gods for all that they had created. And they harvested the maize. The gods sat back. Soon they could rest. Soon their bellies would be full. A bird tweets above him and Kun Aya stumbls on a root. He had been daydreaming. In front of him Kun Aya’s father pauses. He stoops low and dips his hands into the flowing river and drinks. This is the water that Kun Aya and his father will use to grow their maize. Kun Aya drops to his knees and cups his hands. The water speeds past making his hands dance in the river. He drinks also. Thinking back on the story the priest told he imagines the gods cupping their hands and pouring water down the throats of the first maize people. How sweet that first drink must have tasted. Kun Aya smiles. How delicious that first maize harvest must have tasted to the hungry gods. Ah Hun Pakal stares out the great eastern doorway of the priests’ residence. The sky above the main temple is still black, but just along the horizon a deep purple begins to tease his eyes into believing the sun will soon rise. He has been awake all night, making sure that young students keep the ritual fires burning in the temple. Staring out at the spreading blue light he smiles at the memory of his own first days at the temple – seven long ago. Ah Pacal hears a shuffling behind him. A small novice stumbles up the steps cradling fresh wood in his arms for the sacred fire. He moves silently toward the stairs that lead to the shelter at the very height of the temple. Pacal smiles. Pride and compassion swell in his throat. “Boy,” Pacal calls. The child stops instantly, but does not turn around. His shoulders shake. “They are coming. I am only the first, sir.” Pakal jolts at the word “Sir.” It is a sign of respect, but he does not feel old enough to be addressed so. He has seen barely 14 turns of the great calendar stone. “Though I have seen only seven turns of the calendar stone, sir, I am strong. I will not drop any wood before it reaches the temple roof.” The novice’s voice shakes, too. The boy bows and hurries toward the long flight of stairs to the temple roof comb. The priest there will help him feed the fire. Pacal smiles. If Pacal’s calculations are correct, Hunahpu will soon return from the underworld. When Hunahpu’s star, the planet Venus rises before Xbalanque’s sun, then the new planting season can begin. Pacal’s stomach swirls with excitement. For the first time since he arrived at the temple as a seven-year-old and began his study of the calendar, the High Priest asked him to calculate the exact date of Hunahpu’s return to the morning sky. This nightly wait for Xbalanque’s rising commemorates his first journey through Xbalaba, when he and his twin brother Hunahpu were summoned by a the Lords of Death to play a game of Pok-a-tok. The noisy twin brothers lived with their grandmother, Itzamna, the creator goddess, because their father had disappeared into the underworld and never returned. The boys played endless games of Pok-a-tok, when they weren’t hunting birds with their blow guns. These rowdy twin made so much noise and boasted so loudly of their skills as ball players that the gods of the Underworld grew annoyed. “Who are these boys who boast of their skills? We are the champions.” One Death said to his brother Seven Death. “They must be taught a lesson,” Seven Death replied. “We will challenge them to a game, here in the underworld,” One Death decided. So the Gods of the underworld, One and Seven Death, Scab Scraper, Blood Sucker, Pus Demon, Jaundice Demon, Bone Stripper, Skull Stealer, Bloody Tooth, Bloody Claw, and the others summoned the Twins to their home in Xbalba. “We’ll show them who the better ball players are,” Bloody Tooth said to Bone Stripper. “They cannot beat us,” Pus Demon laughed. They gods sent their summons with a tiny louse and while their messenger made his way to visit the Twins, the gods of the underworld prepared to destroy Xbalanque and Hunahpu. But the message almost got lost. When the louse reached the road that lead to where the Twins lived he met a toad. The toad, seeing that the creature was carrying a very important message to Hunahpu and Xbalanque, offered to carry him. The louse accepted the toads offer and was quickly swallowed up by the toad. Now the toad went on his way and met a snake. The snake, always a creature eager to be of assistance, asked the toad if he needed help. Before the toad could answer, the snake quickly gobbled him up as well, and slithered on his way. As the snake was sunning himself on a nearby rock a laughing falcon spotted him and quickly devoured the juicy snake. Now the laughing falcon flew high and far and perched on a tree just above the Twins. When the Twins saw the bird, they quickly took out their blow guns and shot the bird. Gods themselves, the Twins knew how to talk to the creatures their grandparents created and when the bird revealed that he carried a message for the Twins, they healed his wound and demanded the message be delivered immediately. One by one each creature vomited the contents of his stomach so that the louse could deliver his summons. “They think they can beat you,” Laughing Falcon cried. Hunahpu and Xbalanque knew that long ago these same gods had challenged their father and his twin brother to a game of Pok-a-tok. Their father and uncle had never been seen again. “Here, Brother, is our chance to avenge our father’s death. And prove once and for all that we are the greatest ball players,” Hunahpu declared. So they collected their equipment, a rubber ball made of heavy dark rubber, yokes to wear around their waists, and breast plates to protect their chests. When all was ready they headed to Xbalba. At the intersection of the four great roads of creation, the Black Road, the White Road, the Red Road, and the Green Road they found the center of the World. There they descended into Xbalba. They crossed canyons, and climbed down cliffs. They crossed a river flowing with pus, and another red with blood. But Hunahpu and Xbalanque would not turn back. They would prove that they were the best ball players around. So they made their blow guns into rafts and floated across the rivers of pus, and of blood until they reached the entrance to Xbalba itself. The Underworld gods were surprised to see them arrive so soon and still in one piece. They had no intention of letting the Twins show off their skills as ball players. They had thought that the road to Xbalba alone would kill the boys. Always scheming, the Xbalbans invited the Twins to rest on a nearby bench. But Xbalanque and Hunaphu knew better than to trust the Xbalbans. Wary and smart they looked more closely. The bench the underworld gods had offered them was really a comal, their hot cooking stone. “Let’s play,” Hunaphu shouted and he tossed the ball into the air. “We’ll use our ball,” Scab Scraper said, and he tossed a ball at the Twins. The ball bounced hard off the dirt and hit Xbalanque’s yoke. Immediately daggers sprang out and slashed at Xbalanque’s face and throat. Now Xbalanque was no fool. He had a few tricks of his own. Thankful to the Twins for freedom from Xbalba, the daggers calmed themselves and lay at their feet. The Xbalbans, seeing their ball bounce away harmlessly, agreed to play with the Twins ball. The twins won the game, but the Xbalabans would not so concede defeat. “Stay with us tonight.” Bloody Tooth smiled at the boys. “We will play again tomorrow,” said Bloody Claw. “We will give you a place to sleep,”offered the Demon of Pus. “Cigars to smoke to keep away the mosquitos,” Demon of Jaundice offered. “And a light to chase away the darkness,” Skull Stealer said. So Xbalanque took the cigars and the torch, and hung their hammocks in the trees of Xbalba. As they settled to sleep, One Death warned. “You must smoke the cigars, and use the torch as a sign of how you enjoy our hospitality. “If you do not you will insult us.” Seven Death said. “We never allow those who insult us to leave our underworld realm,” Jaundice Demon said. Xbalanque and Hunahpu nodded. They had no intention of insulting the gods of Xbalba. Before they could go to sleep another pair of Xbalbans visited them. Xbalanque and Hunaphu understood. The Xbalbans intended to trick the Twins so they could not beat them again. Xbalanque and Hunahpu would need their wits and their power if they were going to defeat the evil lords of the Underworld. They did not worry. They knew what to do. Xbalanque coaxed Macaw to give them the bright red feathers of his tail. He tucked the feathers into the end of the torch. Hunahpu spoke to the fireflies. “Sit on the ends of our cigars,” he said. And so when the Xbalbans spied on the boys in the middle of the night, they saw only bright red at the end of the torch, and glowing light on the tips of the cigars. “We surely have defeated them now,” Skull Stealer said. His laugh echoed throughout the underworld realm. So when the morning came to Xbalba, and the twins presented the torch and cigars intact to the Xbalbans, the Underworld gods were shocked. “They tricked us,” Blood Tooth said. “Never again,” Bloody Claw replied. That day the Twins played the Lords of Xbalba in a second game of Pok-a-tok. This time the Lords of Xbalba played well and won the game. But now the Xbalbans saw their chance to defeat the Twins and keep them in their underworld realm forever. Always up to a challenge, the Twins replied, “As you wish.” But they knew that they would have to be very careful or else they would never get to play another game, or return to their grandmother, Itzamna. That night, the Xbalbans sent the Twins to sleep in the House of Bats. All night long the bats swooped and dove at the Twins who slept inside their blow guns. Screeching and fluttering nearby, the bats beared their sharp teeth. Hunahpu and Xbalanque knew the bats would attack if they emerged from their blowguns. Finally as dawn approached, Hunahpu peeked out to see if the morning had come. Immediately the bats attacked. In one quick movement, they chopped off his head. Xbalanque became angry. But he had a plan to fool the Xbalbans once and for all. He called to all the animals to bring him their morning meals. One by one the animals brought seeds, and nectar and leaves from their breakfast. Finally Coati came pushing his favorite round squash with his nose. Xbalanque knew just what to do. Using the Coati’s squash, he fashioned a new head for Hunahpu. He gave it seed eyes and a leaf mouth, and when the Xbalbans awoke, they looked about them expecting the Twins to both be dead. On the ball court lay Hunahpu’s head. Where was Xbalanque’s? “They are dead.” Blood Gatherer said. “We have won,” Skull Scrper laughed. When Xbalanque heard their celebrations he stepped out onto the court, followed by Hunahpu with his new head. The gods stared. Determined now to make humiliate the Twins, Bone Scraper scooped up Hunahpu’s head. “We will play with this very unusual ball we found,” he said, and he tossed Hunahpu’s head toward the Twins. Xbalanque and Hunahpu, with his squash head, played with all their skill and in one great dive Xbalanque sent the Ball-head sailing through the ring on the ball court’s wall, winning the game. The Twins’ friend rabbit quickly picked up Hunahpu’s head and returned it to Hunahpu. He placed it back on his shoulders and looked around. Whole again, Hunahpu and Xbalanque celebrated their victory. But the Xbalbans were not yet done with their dirty tricks. The sore losers seized the Twins and cast them into a great pit of fire. In amazement the Xbalbans watches as the boys climbed back out, unburnt. “Show us how you did that.” One Death demanded. “Do it to us,” begged the Jaundice Demon. “Resurrect us.” they all cried together. At that the lords of Xbalba leapt into a fire, and when the Xbalbans were all consumed by the flames, Xbalanque and Hunahpu sat back and laughed. They had no intention of resurrecting the Lords of the Underworld. The Twins had defeated the cheating gods of Xbalba fair and square. They were the champions. Triumphant they searched the Underworld for their father. They found him, transformed by the Xbalbans into a strange plant. His arms and legs were strong and long, and his head appeared oddly shaped. The Twins uprooted the plant and escaped with their father from Xbalba. Pakal smiles as he watches Xbalanque’s sun rise over the temple crown. Sometimes Hunaphu’s journey through the underworld takes longer than his brother’s. Maybe the memory of losing his head slowes him down. Soon, though. Hunahpu will return soon. Of that Pakal is certain. 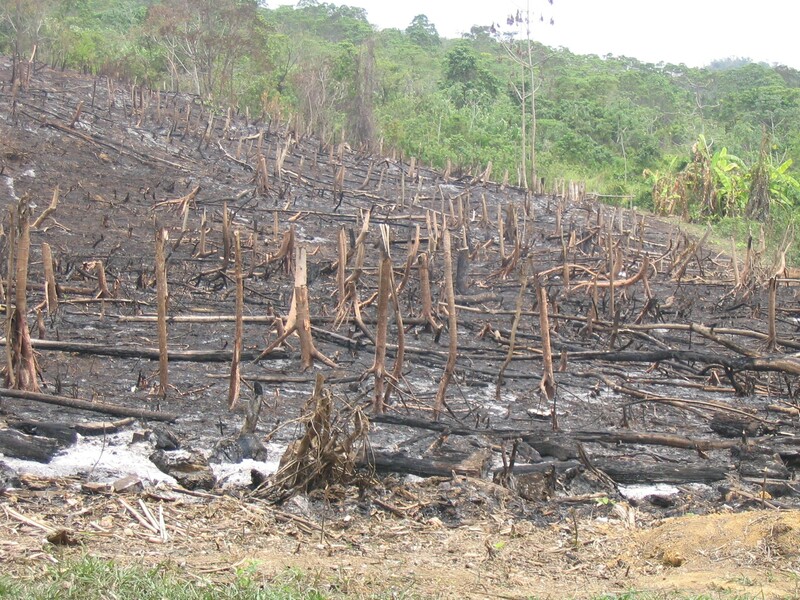 The Maya used a form of slash and burn agriculture to prepare their fields for planting. 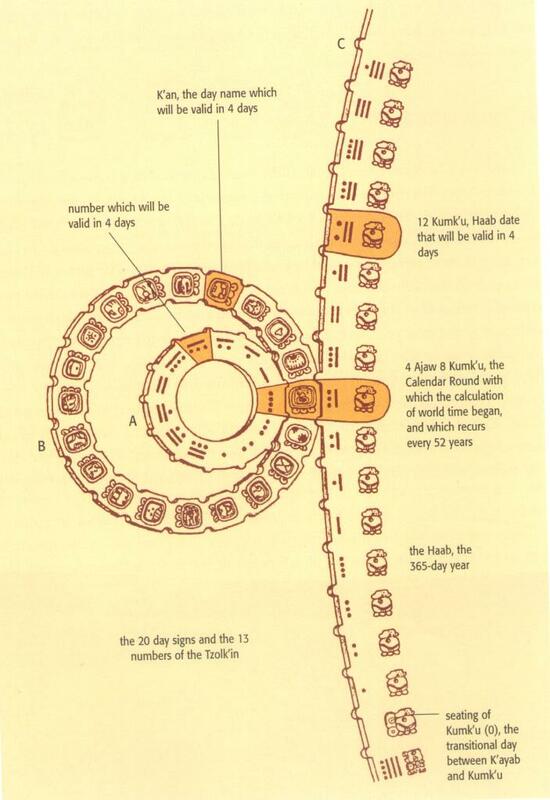 The Maya used the stars to help them keep track of time. They especially watched for the Morning Star, which we know is the planet Venus, but they associated with the god Hunahpu. When it rose in the early morning sky ahead its brother Xbalanque, the Sun, they knew it was time to plant their fields again because the gods would soon send rain. In this story, a young Maya boy wonders about the creation of the first humansand how the gods have been providing for his people ever since. Aj Kun Aya crouches in the near silence of the darkness and stares towards the east. The acrid smell of smoke lingers on the heavy mist, left behind by the late evening showers of the night before. The forest is freshly burned. Beneath the moist ashes the dirt is black. Poking the earth with a dibble stick today would be easy, should the gods appoint today the moment to plant. He is awaiting the return of Hunahpu in the morning sky. If the god’s star appears, it will be the signal to sow the first of the year’s crop. But already the sky in the east is growing blue, and the screaming monkeys have awoken the birds. The god has not returned. family’s milpa. The rains have not started in earnest. There is still time to plant. The gods will not let the people starve. Kun Aya, follows his father silently through the trees. The words of the ancient story the priest made the children memorize roll through Kun Aya’s mind. They show how important maize is to the gods and the people they created. Hunahpu will return. Slowly, syllable by syllable, the story unfolds. In his minds eye Kun Aya imagines the skinny high priest, draped only in his loin cloth maxtlatl sitting on the raised platform in the center room of temple residence. The priest’s wrinkled face turned toward him. He seemed to speak directly to Kun Aya. “When the great gods Itzamná, the Bearer and Begetter, and the Plumed Serpent finished creating the beautiful sky-earth and lake-sea, and had filled the forests and the valleys with animals and birds, and the lakes and the oceans with fish, they stepped back and listened. They waited for the creatures, the plants, the mountains, and the rivers to sing their praises, and give them sustenance. But they heard only silence from the mountains touching the sky, the endless babble of the rivers, the nonsensical chatter of the birds and the howling of the animals. These creations could not worship the gods. Who would harvest the maize, and mark the passage of the stars through the heavens? Disappointed in their creation, the gods counsel one another. They decided to make people. So the gods gathered sturdy boughs from the forest and fashioned people out of wood. The gods gave their wooden people eyes to watch the stars, the sun, and the moon. They gave them arms and legs with which to plant. They gave them mouths and voices to sing of their creators’ goodness. And the people of wood walked about. They talked and they peopled the earth with their children. Their sons and daughters multiplied. But soon the gods noticed their creations’ empty hearts. They forgot their duty to the gods. They sang no songs of praise. They marked no days. They left the gods without food. The gods’ first attempt to create people failed. Angry, the gods sent a great flood to destroy the people of wood. They set all the creatures of the earth against them. The dogs clawed their skin, and the birds pecked at their eyes. Even the grinding stones, the metates and manos, crushed their faces. They left no person alive. And the days passed. The time of harvesting the maize approached. The gods knew they must hurry, for though they needed someone to worship them, and to praise their names, they were growing hungry. Again the gods tried. They gathered up the rich dark clay that lay in the beds of the rivers and modeled people of clay. They set their creation down on the river bank, but the clay would not hold together. The creatures’ heads sagged. Their faces were ugly. Their flesh crumbled, and their limbs fell apart. Worst of all, the people made of clay had no voices to praise the gods. Their eyes could not see the gifts the gods provided for them. So the people of clay melted back into the river beds. The gods wrung their hands, and rubbed their bellies as the dawn of the appointed day for harvesting approached and still there was no one to gather the maize. Their bellies grumbled. The gods put their heads together once again and spoke in quiet voices. What kind of people could satisfy their needs? What kind of people would stand up strong, give praise to the gods for creation, and feed them? Even as the gods whispered to one another, the coyote, the parrot, the fox, and the crow watched as the maize grew taller and plumper, nearing ripeness in the distant mountains at Paxal. The faithful animals gathered a few ripe kernels of corn and brought them to the gods. Then the gods knew what they had to do. They ground the white and shaped it into bones. With ground yellow corn, they made flesh to cover the bones. The scooped clear cold water into their creations’ mouths and it became blood. They formed people of maize. In front of him Kua Aya’s father pauses. He stoops low and dips his hands into the flowing river. This is the water they will use to grow their maize once it is planted. Kun Aya drops to his knees and cups his hands. The water speeds past making his hands dance in the river. He drinks also and smiles. He imagines how the gods must have cupped their hands and poured water down the throats of the first maize people. How sweet that first drink must have tasted. Kun Aya smiles. How delicious the first maize harvest must have tasted to the hungry gods. To the Maya, keeping track of time was a sacred obligation. They believed that a unique retinue of gods ruled over each day. As the sun set each evening, the god who governed that day’s events passed the burden of ruling to the next god in line, who watched over the world until the sun set on his or her day of service. Similarly, a different god presided over each twenty-day week in the sacred Maya calendar called the tzolkin. In ever expanding cycles, a unique god ruled over the Maya months, years, decades, centuries, and millennia, only their cycles came in groupings of twenty. Twenty years (tuns) made a katun. Twenty katuns made a backtun. Each god imprinted on the cycle a unique characteristic that altered the nature of the day, and anyone born under the god’s watch. Knowing which gods ruled at a particular moment in time was essential to maintaining the delicate balance of life in the ancient Maya world. Keeping track of the days, and which gods ruled them, helped the Maya determine when the rainy season was about to begin, for example, so they could prepare their fields for planting. They even calculated the most suitable time to go to war. These same gods also oversaw the lives of individuals born on their days. The Maya believed each god bestowed upon a person special talents and personality traits. By understanding which god ruled the day of a person’s birth, the priests could determine what job a child was best suited to perform, for the community or whom he or she should marry. The Maya created their complex calendar, often described as a series of interlocking wheels, in order to keep track of this endless, ever-changing collection of gods. he Maya calendar is considered by many to be one of their greatest achievements. So how did the Maya calendar work? Actually, the Maya used two different calendars. Because the weather where the Maya lived didn’t go from cold to hot like the weather in large parts of North America where the United States is, they had to find a better way to keep track of the best time of year to plant their crops so there would be enough rain to help them grow. If they planted them too long before the time of the year when there would be enough rain, the crops would die, and they wouldn’t have enough to eat. If they planted them too late in the year once the rain started, they wouldn’t have enough time for the plants to grow before the rainy season ended. Their lives depended on knowing what day of the year it was and they took their calendar very seriously. So, in order to make sure that there would be enough time and water for their crops to grow the Maya watched the sky. They figured out that the stars and the Sun moved through the sky in patterns that repeated over a 365 day period. They carefully observed where the stars were each night in the sky, and where the sun rose on the horizon each morning. They realized too, that the Moon and other planets, like Mars and Venus followed regular patterns of movement in the sky or of changes that repeated over and over again. So the Maya also watched the Moon as it grew larger and larger, became a completely round disk, and then began to shrink again. They watched Venus, saw it rise sometimes in the morning, and sometimes at night. By keeping track of these things the Maya could predict when the rain would come, making it a good time to plant their crops. If they got it wrong, people would starve. But because they usually got it right, Maya farmers planted maize, their word for corn, and lots of other plants that gave them plenty to eat throughout the rest of the year. By using these natural clocks, ones based on the stars, the Sun, and the Moon and other planets, the Maya combined two calendars that are nearly as accurate as the calendar we use today. But the Maya calendars were more than just a way of keeping track of time. The Maya believed that the rain and the Sun and the Moon were all controlled by their gods. And keeping their gods happy was one of the most important reasons the Maya needed to know what day it was, and that’s what I’ll turn to next.